It’s week 5 of my 12 week series of The Summer of Salads. Featured is my Cold Asian Noodle Salad with Grilled Salmon. For my gluten free followers, I used brown rice spaghetti but whole wheat can be substituted for those of you who don’t have a gluten intolerance. I believe in venturing out and trying new vegetables. This week, I tried napa cabbage which is a Chinese cabbage used in most East Asian recipes. I hope you have tried and enjoyed my salad recipes so far. It’s been a fun and challenging task to come up with new recipes and dressings each week. There’s only 7 weeks to go! Enjoy! • Cook the spaghetti according to the package al dente. Rinse with cold water to remove the film. Set aside. • In a bowl, mix the chopped vegetables with the spaghetti. Set aside. • In a jar or lidded container, mix dressing ingredients and shake well. • Pour the dressing over the spaghetti. Toss well. Refrigerate for 30 minutes. Season to taste. 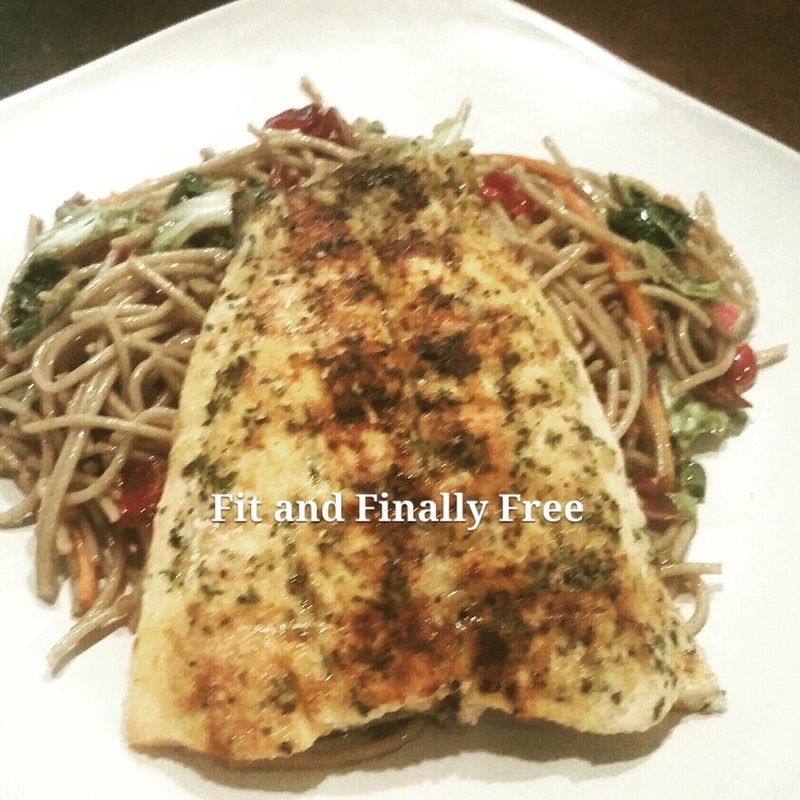 • Place 1 cup of the noodle salad upon the plate and top it with your grilled salmon.